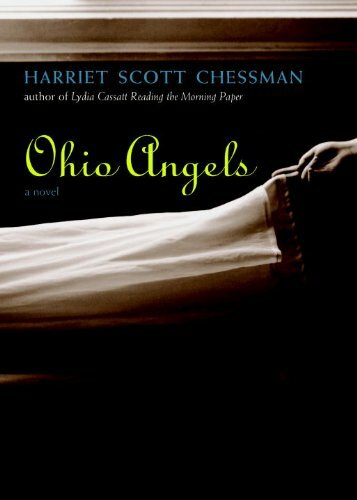 In this lyrical story of marriage and friendship, painter Hallie Greaves arrives at her mother’s bedside and her pregnant friend Rose Haas’s porch one hot July in Ohio. Hallie, Rose, and Hallie’s mother all confront a luminous, intertwining, and sometimes disturbing landscape of memory amid the mowed lawns, pools, luncheonettes, gardens, and churches of this small town. Hoping to give her mother courage, Hallie discovers she is in need of courage as well, as she faces her infertility, her marriage, and her art. And hello, someone had whispered to Virginia. It was in the Banfords’ garden, a long time ago. Ian Banford had come outside with her for a smoke after dinner. Hello, he had said, nuzzling her. She had felt heady then, and reckless. His mouth tasted of Scotch and smoke. Let me just have this, just once, she had thought, and she had clung to him. Astonishment had been in the trees and the damp grass, and in the moon winking through the clouds. They had lain on the grass, the ground hard and bumpy beneath them. Coming inside from the garden, her dress damp and wrinkled, she had caught a look on Claire’s face. Claire had been serving coffee, and a cake. She was standing by the dining table, the pot in her hand, and as soon as she looked at Ian and Virginia in the doorway, she had flushed a mottled color in her cheeks, and her eyes had become sharp and bright. She stared at Ian then, her mouth pinched. Well, well, Charles had said in a grand drunken gesture, where have you two love-birds been? He would not have believed it, but Claire knew. If Charles would sit on the bed, maybe hold her hand. I love you, he might say, a soft rasp in his voice, and she could almost imagine him a young man again, his jaw clean and angular, his eyes clear of the future. It is terrible to be old, and to have such messes behind you. The baby born, so beautiful, each tiny finger curled, with the tiny fingernails, and the wisps of blonde hair, and the eyes shut, as if he were only asleep. Can’t you do anything ? Charles had shouted at the nurses and the doctor. You must be able to do something. Can’t you make his heart start beating? And I heard a strange noise, thought Virginia, like a terrible laughter, and then I knew it was me, my whole body making the noise, and I could not stop. I shook like a tree in a hurricane, and I said, Let me hold him, and when they had wrapped him in a blanket and I held him, he shook with me, two creatures in a high wind.